Whether you are planning a that milestone birthday celebration, retirement party, rehearsal dinner, a corporate function, or even a last minute wedding, we can help you every step of the way. An event on a private yacht, touring the New York harbor is nothing less than extraordinary. 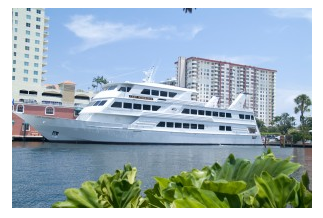 With a wide selection of luxurious yachts to choose from, (US Coast Guard certified for anywhere from 2-1000 passengers), your guests will revel in the beauty of the city skylines while you dine on sumptuous cuisine served by a professional and attentive staff. Our full service event planning assists you in creating the event you’ve always dreamed of. We customize each event, ensuring a one of a kind party aboard our yachts. Our event planning services include invitations, floral arrangements, photography and videography, entertainment, desserts and any other request you may have. Our goal at Metro Yacht Charters of NY is to provide you with the resources to host a celebration your guests will never forget. For more information about the event planning services and our private yacht charters in New York City, contact Metro Yacht Charters of NY today! We look forward to helping you plan your next event.